Montana is one of the few states to already have online poker laws in place. So, is online poker legal? Illegal? But what I’ll tell you now is that’s really the only thing worth noting about them. Nothing else has come up in recent months – even years – regarding poker, online or otherwise. All that matters, though, is you actually do have options. We’ll tell you what those are below, and what rules to follow to stay within the law. Home poker games are legal. But you will have rules to follow. The main rule is you absolutely CANNOT profit from the game other than what you make off the other players. That means no raking the pot. No charging an entry fee. And, just to be on the safe side, you shouldn’t charge for snacks, beers, etc. Home poker games are legal. As with other states, no one can make a profit from the game other than what you win from the other players. “(a) “Gambling” or “gambling activity” means risking any money, credit, deposit, check, property, or other thing of value for a gain that is contingent in whole or in part upon lot, chance, or the operation of a gambling device or gambling enterprise. They don’t make it clear what ‘minimal value’ is, but most games are for $20-$100 – those should be fine. Better yet, a good rule of thumb would be to use the state limits for brick and mortar casinos. They just raised those (payouts) from $300 to $800. So if you keep your payouts to under $800, I think you’ll be alright. To put it bluntly: NOPE. Montana’s laws specifically say that internet gambling is illegal. There are exceptions. Their law excludes pari-mutuel betting, the state lottery and specific events from Indian casinos. Of course, you can still play at international poker sites – albeit this is always a risky play, especially if the site decided to close shop and go rogue. If you go this route I recommend sticking to only the best sites. That way, if the guano hits the fan, then at least there’s a good probability you’ll get your bankroll back. Montana doesn’t have any state licensed casinos. They only have Indian casinos – more than 100 of them. Some of them do offer live poker. However, they are not easy to find. Most casinos don’t even have websites. So I recommend giving the casinos you’re thinking about heading to a call first to see if they spread any poker games. Failing that, you’ll find plenty of other casino options. Games like slots, bingo, keno, horse racing, video poker, etc. But that’s about it. Other than the rare poker game, you won’t find any table games. Outside of the casinos you can also participate in the state lottery or any number of charitable gaming options. 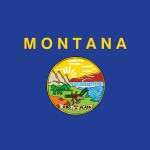 Do we expect Montana to change their online poker legislation in the future? Experts think so. Apparently, Montana is going to have a change of heart and legalize online poker by 2018 or 2019. Please note that list bit has sarcasm sprinkled on top. I disagree with the ‘experts.’ I just don’t see it happening. Montana already has made online poker illegal. And while there are states that are likely to change their mind (Colorado, for example), the difference between them and Montana is they’re currently doing something about it. Montana isn’t, and they haven’t tried to do anything since they made online poker illegal in 2005. The only way I see Montana changing their minds is if we see a slew of states pass laws making it legal, make bunches of money so Montana can see what’s possible. Then… they might consider it.